Chiang Mai is a must-see stop on your next visit to Thailand. The city is full of beautiful Lanna architecture and is smaller than Bangkok, so it is extremely walk-able. Wander around local markets sampling the cuisine, visit some stunning temples and hike around in the mountains. Chiang Mai is a welcome alternative to Bangkok or the Thai islands because the climate is cooler up in the mountains. Lanna style textiles are gorgeous and Northern Thai food is absolutely delicious. When you come to this magical city to the North, remember to visit a local salon or spa for some cost-effective pampering and prepare to be amazed by the scenery, architecture and exquisite food. While you should definitely experience the street food in Chiang Mai, you would be missing out if you didn't also sample some of the fine international cuisines that this sophisticated metropolitan city has to offer. Below are some of the must-dine destinations in Chiang Mai. For a true delicious sampling of the region, you need to visit The Service 1921 Restaurant & Bar. This five-star restaurant specialises in Chinese, Vietnamese, Szechuan and of course, Thai cuisine. Each meal is lovingly paired with a complimentary wine. Dine in style in an eclectic and visually stunning old colonial house. The menu is full of inspired dishes like flavorful Pomelo Salad and Poached Mussels, prepared to perfection by the talented chefs of The Service 1921 Restaurant and Bar. These decadent morsels go well with The Service 1921 Restaurant & Bar's creative cocktails or vast selection of wines. Make sure you arrive hungry! You will want to try absolutely everything on the menu. 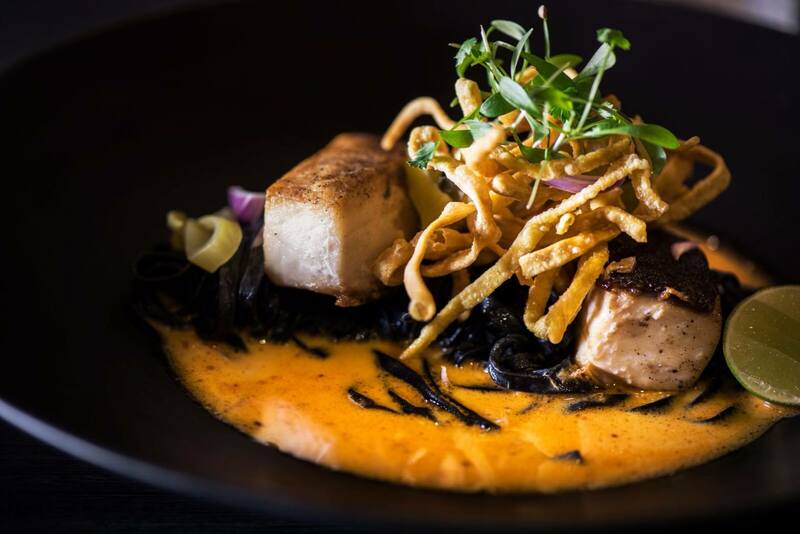 For the finest in Asian cuisine with a contemporary twist, you must check out this restaurant! You do not need to go to Italy to experience the finest cuisine from southern Europe. All you need to do is make a stop at Italics, the last word in innovative Italian cuisine right in beautiful Chiang Mai. The menu is full of true Italian favourites prepared in an authentic style with only the finest ingredients. Their sumptuous beef carpaccio is tender, flavorful and beautifully presented for a nice, light bite that will take you straight to the shores of Italy. Their perfectly prepared calamari is never heavy or overly fried. You will get the delicate taste of the calamari with a perfect breaded crunch. Italics uses only the authentic and locally sourced ingredients to make your dining experience as special as possible. Round off your meal with a delicately sweet authentic tiramisu, fragrance'd with notes of coffee and sweet cream and brushed with a dusting of the finest chocolate. Prepare to be awed and stunned by the beauty of Le Grand Lanna, which specialises in serving fine Thai food in a beautiful and authentic atmosphere. Le Grand Lanna has a variety of activities that teach you about traditional Thailand, as well as a state-of-the-art spa for maximum relaxation. While in Chiang Mai, you really must make time to get a spa visit in. The treatments in this part of the world are second to none and a true Thai massage will leave you feeling refreshed and rejuvenated. The real jewel in Le Grand Lanna's crown is their renowned restaurant, where you will savour Thai favourites in their perfectly appointed dining room. Their stir-fried cashew chicken is bathed in a deeply flavorful sauce. The meat is tender and perfectly matched with crunchy cashew nuts. This dish is a favourite throughout Thailand and the Western world. While you are in Chiang Mai, you should have the authentic dish! Also not to be missed are the intensely flavorful and deeply spiced Chiang Mai northern sausages. The sausage is unique to the region and made in a traditional way that goes back centuries. It is unlike anything else you have ever eaten. Cap off your delicious meal with a soothing cup of tea or coffee for the perfect dining experience. No trip to Chiang Mai is complete without a stop at David's Kitchen. This Chiang Mai staple has a reputation for serving up the very best cuisine in the region and people actually visit Chiang Mai for the express purpose of dining at David's Kitchen! David's Kitchen blends traditional Thai cuisine with a French twist for a refreshing and unique take on your favourite dishes. Make sure you sample their innovative Spicy Fish Salad With Green Apple. The tart apple adds a welcome crunch that offsets the fish perfectly and the dish is light enough that you will not feel overly stuffed after eating it. It is a perfectly satisfying bite; combining fresh ingredients with local flavors for an intensely flavorful showcase of the best of Thai cuisine. Their signature dish, Braised Lamb Shank Slow-Cooked In Red Wine With Paris Mash, is a stunner. The lamb is fork-tender and perfectly complemented by the velvety red wine sauce. If you are craving a delicious roast dinner, sample David's Kitchen's variety of spot-on Western dishes for a slice of home in the far East. No matter what you are craving, David's Kitchen delivers with inspired Thai and Western cuisine. Make time to stop at this iconic restaurant, but be sure to make reservations in advance. Their tables fill up quickly! If you have been wanting to get back to nature, Cuisine de Garden is the perfect restaurant for you. Their cuisine is naturally inspired and presented in the most breathtaking fashion imaginable. Creative presentation aside, Cuisine de Garden serves some of the most delicious food in Chiang Mai. Their well-renowned chef fuses together Thai and French flavors and then plates the food as if it was art! His plates are almost too beautiful to eat with whimsical presentations that mimic the flora and fauna you would find in nature. Once you take a bite you will realise that this chef has more than just an artistic eye! The flavors are perfectly balanced for a unique and memorable dining experience that is unlikely to be like anything you have ever experienced. Their innovative menu is separated into chapters, with each one featuring a different type of cuisine based on a setting or mood. Each dish is highlighted and the ingredients are spelled out, so you can be sure you will be dining on fare that you like. Try their Nest, a brand new take on chicken and eggs, fragrance'd with a light touch of truffle oil for a sophisticated finish. Deserts include Farm; a delicate pannacotta with a beautiful honey flavor. Farm is exquisite because it is both light and flavorful, so you will not leave the restaurant feeling overly stuffed. If you are looking for fine food in a more relaxed atmosphere, you need to visit Ginger & Kafe. Their dining area might be relaxed, but their food is seriously fine cuisine. Ginger & Kafe features traditional Thai food with a twist and is an innovative bistro that serves up mouthwatering regional favourites. Try their Crispy Prawn Spring Rolls with a savory and addictive sauce. You will not be able to only eat one. The fresh prawn pairs perfectly with the crispy wrapper for a perfect bite every time. Their Spicy Grilled Beef Salad With Grapes is a new twist on a traditional Thai beef salad. By tweaking flavors just slightly, Ginger & Kafe is able to create food that is both familiar and exciting at the same time! We strongly suggest that you sample their Thai menu, but if you are more in the mood for Western food, Ginger & Kafe has you covered! Their Western menu includes favourites like Creamy Chicken Liver Pate and Caesar Salad. The pate is silky smooth and comes with crispy bread for a totally satisfying meal or snack for two. For a sweet treat, check out traditional Thai Mango Sticky Rice. The coconut milk sweetened rice pairs perfectly with silky mango for the ultimate Asian desert. If you are visiting Chiang Mai, you really need to sample a local speciality called Khao Soi Gai, or northern noodles. This rich dish combines the best Thai flavors; spicy, sour, sweet and bitter into a heavenly curry dish that is a perfect pairing of cooked Thai noodles with crispy fried noodles> Served with a wedge of lime and chopped red onion, Khao Soi Gai is a bowlful of flavor like no other. Ugo Restaurant and Thai Craft Beer Bar puts a lot of love into their Khao Soi Gai and it totally shows! If you are more into curries, you will find a selection of the finest Thai curries paired with rice and traditional accompaniments. Pair your traditional Thai dishes with a luscious tropical fruit smoothie or a craft beer for an excellent lunch or dinner. The craft beers at Ugo Restaurant and Thai Craft Beer Bar are second to none, with exotic flavors like Ginger and Mango. You will not get anything like this at home! On your next visit to Thailand, remember to reserve some time to head north to the beautiful mountain city of Chiang Mai. You will get all of the sophistication and luxury of a big city with a small town feel, and the best restaurants that you are likely to find in the country. There are so many to choose from, so you can dine out on different exciting international or local flavors every night! Majestic Chiang Mai has so much to offer!